If you missed the part 1 of our Animal Pump review, read it here. The energy rush complex of Animal Pump is contained in the single red pill as clearly labeled on the container. Should you not wish to take any stimulants, you can simply not consume the red pill. The energy rush complex consists mostly of stimulants such as caffeine. From the animal pump FAQ I read, the amount of caffeine contained in a serving of Animal Pump is equivalent of about 2 cups of strong coffee. Animal pump also contains Evodiamine, which is a major alkaloidal principle of Evodia fruits, and has been shown to reduce fat uptake in mouse studies. It is believed that its mechanism works similar to that of capsaicin from red chili peppers, but it does not have the spicy taste of chili peppers. Chinese literature refers to Evodia fruits as a "hot nature" herb. 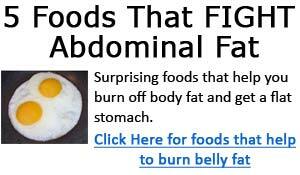 At this point, however, studies have been done on mice, showing that Evodiamine helps in fighting obesity . I'm unaware of any studies that have been performed on human subjects. Vinpocetine - is a semi synthetic derivative of vincamine, which is extracted from the periwinkle plant. It increases cerebral blood flow and is said to improve memory. Nitric Oxide being a free radical has both Pro- and antioxidant properties. It can protect against oxidative injury. Nitric Oxide can both stimulate lipid oxidation and also mediate oxidant protective reaction in membranes. In short, nitric oxide can be both pro-oxidant, and antioxidant. To combat NO's effect in promoting free radical release, Universal Nutrition included the antioxidant complex which includes ingredients such as grapeseed extract, green tea extract, N-Acetyl Cysteine, and ALA (alpha lipoic acid) - all of which have inherent antioxidant functions. Grape seed extract - is a natural plant substance that has a concentrated source of oligomeric proanthocyanidins (OPC). These anti-oxidants help protect cells from free radical damage and also promotes healthy circulation. Grape Seed Extract is rich in polyphenols, a compound that's high in antioxidants. Studies have shown OPC to be more powerful antioxidants than vitamin C, E, and beta-carotene. Read more about grape seed extract here. Green tea extract - Green tea has long been used by the Chinese as medicine to treat headaches, body ache, poor digestion, and improve well-being and life expectancy. Green tea extract is bioflavonoid rich, and one of its main uses is fighting free radicals in your body. Green tea extract contains high level of polyphenols (a bioflavonoid), and it's also a rich source of EGCG (an antioxidant), that's over 200 times more potent than vitamin E in fighting free radicals and pro-oxidants. Read more about green tea extract here. Alpha lipoic acid - Alpha Lipoic Acid is an antioxidant, and is widely used in prevention of various diseases. Its main function is to increase production of glutathione, which helps dissolve toxic substances in the liver. Learn more about alpha lipoic acid here. N-Acetyl Cysteine - N-Acetyl Cysteine works by increasing glutathione levels. Glutathione is a powerful antioxidant in the body that detoxify chemicals, and binds to toxins that helps your body remove them from your system. Having higher levels of glutathione is associated with having good health in older adults. With all these antioxidants, what they hope to accomplish is that any pro-oxidant activities of nitric oxide would be negated or eliminated all together through the addition of the antioxidant complex in Animal Pump. Beyond this, the included antioxidants will likely also provide health benefits to the user helping to boost the immune system and improve general health. 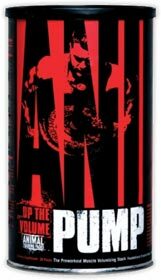 I'm on my last few packs of my Animal Pump as I write this review. By the time it's published on our site, I'll have finished. So far, my experience with Universal Nutrition's Animal line of products is very positive, and my experience with Animal Pump is no different. I've had some phenomenal workouts while using Animal Pump, and have noticed significant performance improvements while taking it. For me, probably the most impressive aspect of Animal Pump while I was using it, is the "full" feeling I had the entire time, and I do not mean "full" as in a feeling of satiety. What I mean by this "fullness" is fullness of the muscles. From about half a week into my usage of Animal Pump, I began to notice this sensation of "fullness" in my muscles. No, it was not the perpetual pump that you hear so much about associated with NO supplements - I know because I'm basically a non-responder when it comes to NO supplements. (LOL) Yes, I've used many NO supplements in the past, and no, sadly I've never noticed the awesome massive pump feeling that so many other users report. While I do get great pumps during workouts, I do not attribute it to my use of NO supplements, because regardless of whether I'm using a NO supplement or not, I have never noticed any major difference in my "pumps". It's a shame... But hey, everybody's different, and I just happen to not respond much at all to NO supplements. However, despite the fact I did not notice massive pumps while using Animal Pump, the constant feeling of muscle fullness was very satisfying. Not only did I feel more muscle fullness overall, I also looked fuller - in a sense, in a semi pumped state. Does this sound contradictory to what I just said in the above paragraph about not experiencing the pumps of using NO supplements? It shouldn't, because this constant feeling of muscle fullness was something else - it was not a result of "perpetual pump", but something else. I did not feel pumped, simply "fuller" so-to-speak. Following the instructions on the container, on training days, I took one pack 30 minutes before my workout on an empty stomach, and on none workout days, I took one pack first thing in the morning on an empty stomach - then I wait 10 to 15 minutes before eating my first meal. During my workouts, I had a very noticeable increase in energy and focus - presumably from the Energy Rush Complex. Despite the Energy Rush Complex having the caffeine equivalent of 2 cups of coffee, I never felt jittery. Then endurance and strength gains were noticeable. I was able to perform an extra 2 to 3 reps on most of my sets using my normal weights, and squeezing out that last 2 to 3 reps did not present much difficulty either. What impressed me the most was the fact that performing the second and third sets of an exercise feels almost as easy as the very first set. Like all the other Universal Nutrition Animal supplements I've used, I have to give Animal Pump a two thumbs up. This is a keeper. 6. Planta Med. 2001 Oct;67(7):628-33.